The "tenses" might be a little off in this post - I leave for vacation tomorrow, aka Thursday (Disney and Universal Studios!) so I'm writing this on Wednesday. It's a heat wave in Michigan this week! ... and by that I mean, it got back to 30-35 degrees. Felt a lot nicer than the frigid temps we had last week, though. Eating out and trying out new places. Last Sunday, my boyfriend and I went to Arkin's Sweet BBQ Pit, in Southfield, before a movie at Emagine Royal Oak, as I had won a $25 gift card from @chowdowndetroit on Instagram. It was delicious and there are actually NO pictures because we gobbled it up so fast, ha. 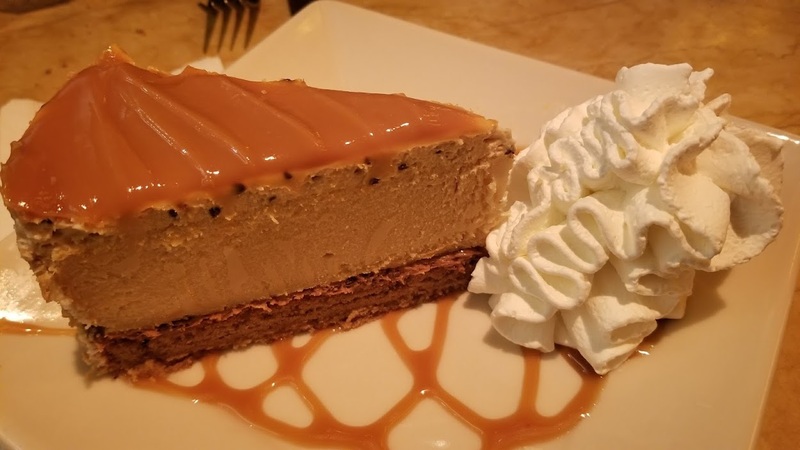 My parents took me to Cheesecake Factory, in Novi, for an early birthday lunch on Saturday, and my boyfriend and I also went to Kona Grill with my $15 birthday coupon (you can join the e-club to receive this) on Saturday night. On Tuesday afternoon, some coworkers and I went to Mr. Kabob Xpress for lunch, too—if you download their Five Stars app, they will send you a free entree (up to $10) for your birthday, which was great. Their chicken kabob wraps are my favorite in the metro Detroit area. Seeing movies. I saw a screening of The Commuter on Tuesday and liked it a lot—I'd give it 3.5/5 stars. I saw I, Tonya on Saturday night, which was fantastic—I'd give it 4.5 or maybe even 5/5 stars—and I saw All the Money in the World on Sunday afternoon which was also very good; I'd give it 4/5 stars. The Post is coming out on Friday and I'd like to see that at some point, too. Became a model. My college orchestra, the Michigan Pops Orchestra, now has an active alumni group, and the creator of the group (who also created the orchestra, in '96) asked if I'd like a free Pops Love (our motto) wine glass in exchange for "modeling it." The "modeling" consisted of a friend taking a few photos, at that Italian food dinner party I went to the week before. It's now live on the site! Saw Cirque du Soleil's Crystal (aka Cirque on Ice!). I am seeing that tonight, but by the time you read this, I will have already seen it - it's at Little Caesars Arena, in Detroit, through Sunday 1/14. I love Cirque shows so a Cirque show on ice sounded fabulous, and I actually put my vacation off by one day so I could still attend. Exercised a bit. On Monday and Wednesday I went mall-walking during my lunch break, and on Saturday and Monday I did zumba at the gym. This was actually my favorite of all of the pics my friend took!